Historic Legacy of New England Homes in Dublin N.H.
An hour and forty minutes north of Boston, the town of Dublin, New Hampshire is an oasis for all those looking to escape to the country. Dublin is located due north of Mount Monadnock, the most climbed mountain in the United States and some argue in the world. The allure of Mount Monadnock has drawn people from all over New England and the rest of the world for centuries and subsequently the town of Dublin. Its close proximity to the mountain creates superior panoramic views, especially for those lucky enough to stay on Dublin Lake. Many of the buildings located on Dublin Lake, 45 houses and ten boat houses built in the 19th and 20th century, are a part of the Dublin Lake Historic District. These buildings have been listed on the National Register of Historic Places since 1983. The town of Dublin is a treasured hideaway with spectacular views of Mount Monadnock, architecturally significant buildings, and a wealth of culture and history. Dublin has an architectural legacy that has been established over the past two hundred years. The first recorded history of Dublin as a town was in 1749, when it was originally dubbed “Monadnock No. 3”. Though over the course of the next century, Dublin distinguished itself as an architectural center of Southern New Hampshire and New England. The homes built and designed in the 19th century were largely constructed in the resort style, because many tourists began travelling north to New Hampshire at a rapid pace. Adapting, the town of Dublin evolved from its agricultural and farming roots to embrace the swell of newcomers looking to build a summer home in the mountains. Many of the homes built in the first wave of the 19th century were constructed in the Victorian shingle style, later dubbed “the architecture of the American summer”. The Victorian shingle style is far grander than the small makeshift cottages normally associated with some shingled homes. This style of home in Dublin is found mostly in Beech Hill, a remote area north of the town ideal for privacy without sacrificing their million dollar view of Mount Monadnock. The brown shingle Victorian style home was extremely popular with people summering in New Hampshire from Boston and other big cities. Though the period of the shingled cottage construction was brief, it had a significant impact on Dublin because the homes continue to uphold the towns status as an important architectural place. The town of Dublin is especially lucky to have maintained a vast amount of these shingled homes because they were often-times destroyed or consumed in fires. Shingled homes in Dublin epitomize New England resort architecture in the 19th century. The other popular style of home that was representative of resort architecture of the mid-to-late 19th century was the Italian style villa. Wealthy people building homes to summer in Dublin also conversely wintered in Italy. Because of this, many decided to model their summer homes to be more European. The homes were typically long and rectangular with an emphasis on the connection with the home and the surrounding landscape. To do this, the villa style homes included terraces, pergolas, an extensive gardens. Many homes of this style are beautifully integrated into the landscape to enhance the communion with nature. An emphasis on the outdoors with this style of home drew many artists and writers to Dublin, N.H. to gain inspiration from the natural world. The notoriety of Dublin grew extensively in the mid 19th century, around the turn of the century, and up until the Great Depression. Many Bostonians looked to their northern neighbour, New Hampshire, as a haven from the big city during the hot summer months. As agriculture and sheep herding faded as a viable source of income, families found a new way to earn from housing summer boarders. The allure of Mount Monadnock brought flocks of travellers to visit and stay in the surrounding area, but increasingly artistic types came to the mountain. Over the years, more and more famous people and prominent artists chose Dublin as their home away from home for the summer season. These artists stayed in what became known as the “Latin Quarter” a colony for writers and artists. They named it such because they wanted a clear and distinction between themselves (artists and intellectuals) and the rest of the summer vacationers. 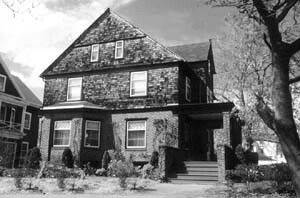 In particular, Loon Point, a compound of homes, studios, and outdoor theatres, became an extremely popular place for many famous people to stay. For the better part of the 19th century, Dublin became was a summer resort. Due to its proximity to Mount Monadnock, had been the stomping ground for many famous people, artists, and writers. Henry David Thoreau, the transcendentalist writer and author of Walden, notably stayed at a cabin in Dublin. Sadly the cabin is no longer standing today. Though possibly, Dublin’s greatest admirer and famous author, Mark Twain spent two summers in Dublin. 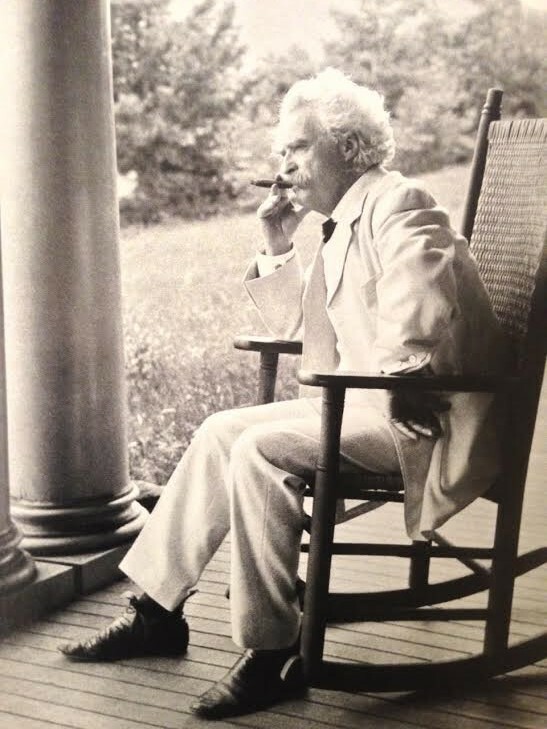 Twain on porch of Mountain View Farm. After the death of his wife, Olivia L. Clemens in 1904, Twain spent the next two summers in Dublin, N.H. He famously said about his stay in Dublin, “Dublin is the one place I have always longed for, but never knew it existed in fact until now”. Thomas W. Higginson was an very important historical figure and contemporary to many American legends. 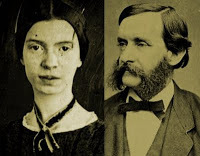 He was good friends with both Thoreau and Hawthorne, as well as Emily Dickinson. Higginson and Dickinson maintained a correspondence and after her death, he became an editor of her writing. Though Higginson was immensely influential to others, he was also significant in his own right. He was an incredible activist and advocate for human rights. As an abolitionist he proudly took the position as the commander of the 1st South Carolina Volunteers, the first regiment of black soldiers in the Civil War. Higginson was a gift to Dublin and became an local legend. The beauty of modern day Dublin only continues to grow with time. The historic New England homes that are found in the Lake District of Dublin are just some of the elements and examples of important architecture found in the town. In the last fifty years, a more modern architectural style has emerged to add contrast to the classic New England style homes. One example is the Envelope house. The roof of the house is state of the art and covered in solar panels. This home is just one of the many new and exciting architectural homes that seemlessly blend the past and the future. Also, now many of the homes in the Dublin Lake District are year round residences, and have been fortified for the winter months. Though things have changed and will continue to change, the preservation of the beauty of nature is a primary concern for Dublin residents. In the 1940’s there was a push to build a road up Mount Monadnock, but those in Dublin and the surrounding area were very against the idea. The Dublin Lake Club opposed the movement and there have been no major proposals for a mountain road since. The beauty of Mount Monadnock will be preserved for years to come. To learn more about the town of Dublin, N.H. visit their website, here. View our last few monthly newsletters to see if you’d appreciate the content!